The most well known benefit of storing files and documents in the cloud is the flexible access it offers you. With cloud storage, you can access your files from any device (computer, laptop, tablet, mobile phone etc.) as long as it has access to the internet. 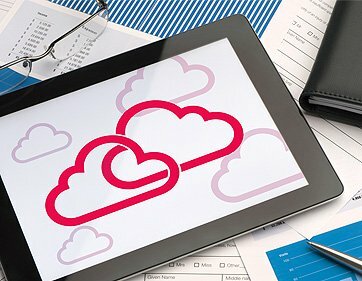 Storing documents with cloud services is considerably cheaper than storing them manually in valuable office space or off-site storage facilities. Depending on which system you use, you can often get a small amount of cloud storage for free. After that, the costs tend to vary so it’s always useful to do your research. Cloud storage doesn’t fill cabinets or storage rooms and it doesn’t need a hard-drive either, in fact, storing files in the cloud takes up no literal space at all, only virtual. This is a great help if you are looking to save space or if you are moving to smaller premises. Sharing and editing files can be difficult if you store files solely on paper but by using cloud services, you will be able to share and edit documents quickly. While this might not be any different to ordinary digital storage, there is an interesting feature with cloud storage and that’s the ability to collaborate on documents with colleagues and simultaneously edit the files for the other person to see in real-time. Another interesting feature of cloud storage is the fact that once you edit and save a document, it will save across all devices so if you were working on it from a tablet device then you log in on a laptop, the edits will show up. This syncing helps a lot with remote access. When you look at this, you may get flashbacks from the iCloud hacks last year however, in terms of overall protection for the hundreds of millions of people using cloud systems, it is still a secure platform for businesses and individuals. If you take the security of your documents seriously then you will ensure the files are encrypted and password protected. All of this will ensure a great deal more data protection than storing files on your premises or in off-site storage. Overall, cloud storage is a highly convenient way of storing documents to save space, money and time but still falls within compliance laws. There are so many different cloud storage services out there such as the big names like Google Drive, iCloud, Dropbox etc. as well as the smaller companies offering great services too. Here at Pearl Scan we provide the option of cloud storage with all of our scanning projects. Our cloud platform, Pearl Cloud was developed in-house to be fully bespoke so it can be tailored to suit the needs of all businesses with a wide range of storage needs. If you would like your documents scanned and hosted on Pearl Cloud, give us a call today to discuss your requirements. For more information about Pearl Cloud and our document scanning services, please browse our website and blogs.